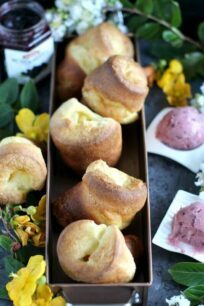 Jordan Pond Popovers Recipe is the easiest and fool proof recipe. The popovers are served with blackberry jam butter and a sweet homemade 10 minutes caramel sauce. Last year we visited Acadia National Park in Maine, and the Jordan Pond House was by far the highlight of our trip. First, the house is located in the heart of the park and it offers magnificent views of the pond and the mountains. After a two hour hike around the pond, we decided to have lunch at the Jordan Pond Restaurant. We ordered their famous popovers that are served with butter and Maine blueberry. We where blown away at how good they where. Then, my husband kept asking me to recreate them at home. 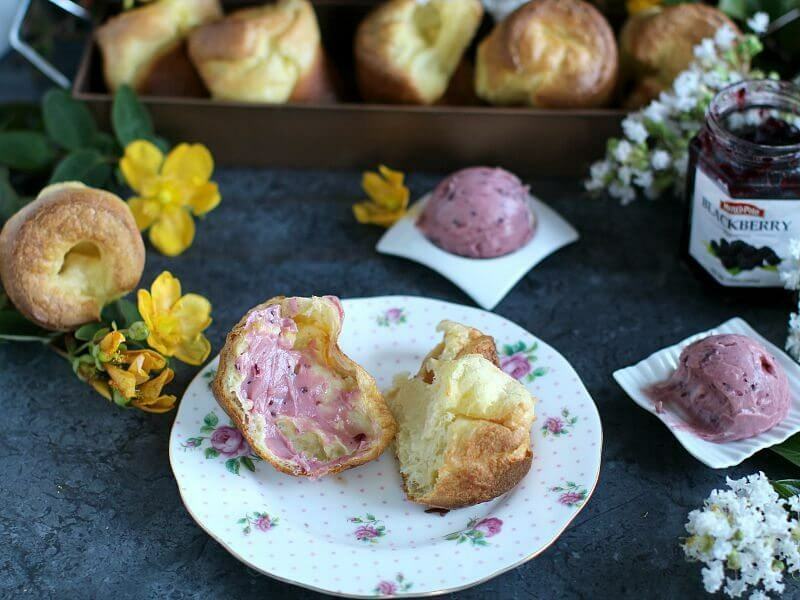 After a few trial and errors, I am ready to share with you my Jordan Pond popovers recipe. I truly think these taste as good as the originals. And by the way, this will be the easiest Jordan Pond popovers recipe you will come around. Also, you will find this Jordan Pond popovers recipe a breeze to make. All you have to do is add the ingredients to a high speed blender. Then, combine everything, let them rest for one hour and bake! 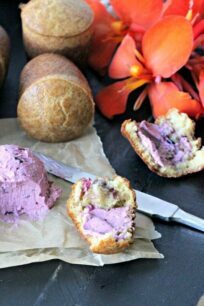 Honestly, they are the perfect popovers, they turned out crispy and chewy on the outside, with a flaky, soft middle, they must be served warm so all that delicious blackberry butter melts a little when smothered on the popovers. They got huge in the oven, but keep in mind if you will keep them too long at room temperature after baking, their shape will change and the popovers will get smaller, equally delicious, just not as puffy and large. That’s why I always advise serving them right from the oven. Since this Jordan Pond popovers recipe is so easy, you can totally plan in advance and cook right before you know you want to eat these beauties. The blackberry butter and caramel sauce are obviously optional toppings, but why would you skip them? You can also go for the traditional butter and blueberry sauce topping. That’s what I like about popovers, the serving options are limitless, just choose what you like more. 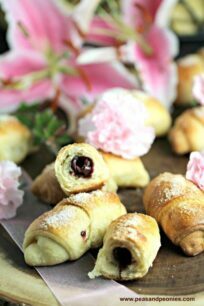 These popovers would be such a treat at any brunch party or just a fun and delicious breakfast you can make your family on a weekend. I hope you give them a try and like them as much as we did! 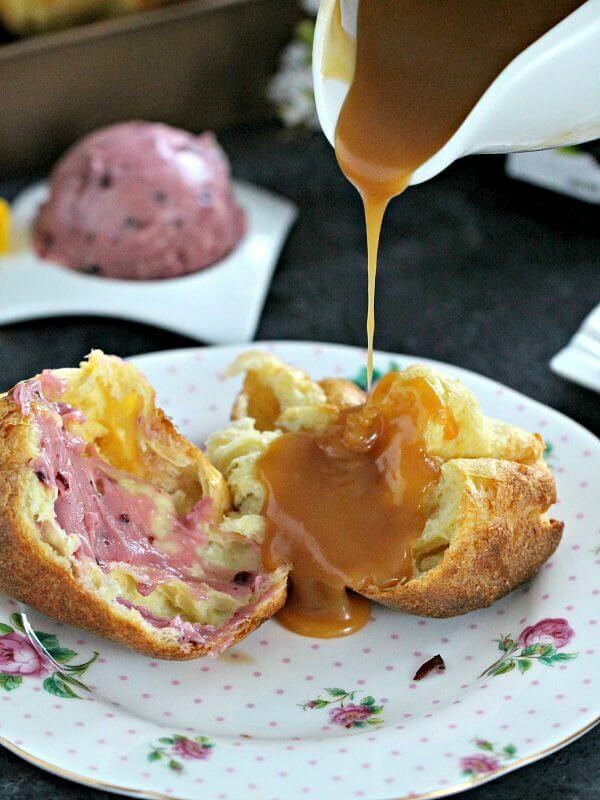 The easiest and fool proof Jordan pond popovers recipe that are served with blackberry jam butter and a sweet homemade 10 minutes caramel sauce. Microwave the milk for 2 minutes just until it's lukewarm. Add the ingredients: milk, flour, baking powder, salt and eggs to a blender and blend until smooth. Make sure to stop, scrape the blender sides and blend until all combined and smooth. Let the batter rest for about an hour at room temperature. Preheat oven to 450 F degrees. Spray popover pan generously with baking spray. Fill each popover cup almost to the top with batter. Place the popover pan on a baking sheet and transfer to oven. Bake at 450 F degrees for 15 minutes. Reduce the oven temperature to 375 F degrees and bake for another 17-20 minutes, or until popovers are golden brown. While the popovers are baking work on the blackberry butter. In the bowl of an electric mixer on medium speed whip the butter for one minute, add the blackberry jam and whisk until combined, making sure to stop the mixer and scrape the bowl walls with a rubber spatula. Using an ice cream scoop, scoop the butter onto a plate and set aside. Now work on the Caramel Sauce: In a medium sauce pan over medium heat melt sugar while stirring constantly until a brownish liquid forms. The preparation and cooking time reflect the effort made for the caramel sauce as well and the resting period for the batter. Feel free to double the recipe for a larger batch. Mmm these popovers look so good! I love the blackberry jam and caramel sauce. Just perfect! These popovers look perfect! I love that you served them with blackberry jam and caramel sauce! Such a lovely treat! Hi Katalina, these look incredible. Great job, love that blackberry jam butter. 🙂 Wonderful photography as well. I’ve always wanted to try my hand at making popovers, they’re just so light and airy and delicious. Yours look great! How beautiful are these!! I have a popover pan that I’ve been dying to use. I love the idea of that blackberry jam butter! wow..I am drooling seriously..those are probably the BEST popovers I have ever seen. Great job, Katalina! We would have some with our roast chicken and gravy. Then the rest would be for afternoon tea with jam and cream. Beautiful! These popovers look so delicious. Blackberry jam and caramel sauce sounds amazing together. Drooling! These popovers are gorgeous! The blackberry jam and caramel sauce sound incredible with these. LOVE these popvers! I have only served popovers with butter. 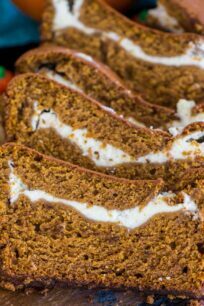 What a great idea to drizzle caramel sauce and sweet butter over it! I think I will need a dozen of these all for myself! 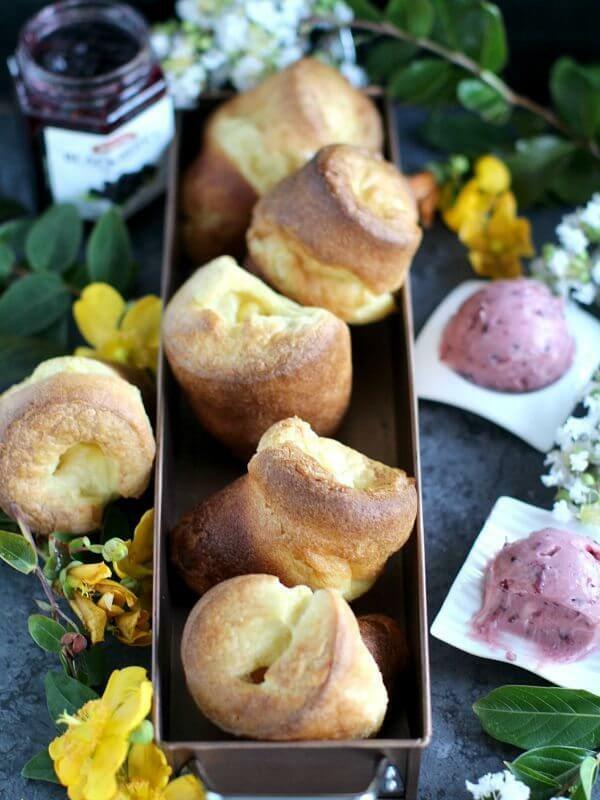 Love popovers and these look amazing! Pinning!